Grieving the loss of a loved one is an inevitable part of life. To me, the ultimate cause of the estrangement between these two characters is a result of the blame the father places on his son for his wife's death. The prospect of the son's illness is also what seems to catalyze their reconciliation, proving how instantaneously death can affect a relationship between two people. How do you imagine the relationship changes between these two characters after the piece ends? What are you hoping the audience takes away from this relationship? (Director, Lance J. Reha) When I received the script and read it through I was moved by the way it ended and after it was shot I felt even more moved after seeing the actors performances and I do feel they move forward in their relationship and work out their demons. I think they eventually realize that family is what matters in the end. And I hope the audience comes away feeling that issues in relationships, especially family relationships are precious and can for the most part, not always but more often than not be talked about and worked out. I guess the word is forgiveness. I think this piece really captured the essence of a blue-collar family. The father working his entire life so that his son could be better, and the son trying his best to live up to his father's expectations. The fear of letting your loved ones down can be both a really powerful motivator and entirely debilitating. How much do you think this plays into the son's behavior? (Writer, Tom Bragg) It plays a lot into the son's behavior. In my own life, especially when I got older, I had this need to make my father proud of me. I also am the youngest of three brothers. They both achieved great things in life, from going to good schools to having beautiful homes and families. I have none of that and it was difficult to compete with. I'm not sure if my father was ever proud of me or what his expectations were, but unlike this character in DIVIDED, I've come to terms with the fact that I'm different from my family. I'm a creative type and have always viewed the world from a different corner. Within the first moments of the piece I think the audience gets a really clear picture of who these characters are. What steps did you take to accomplish that? How long did it take for you to come up with these voices? 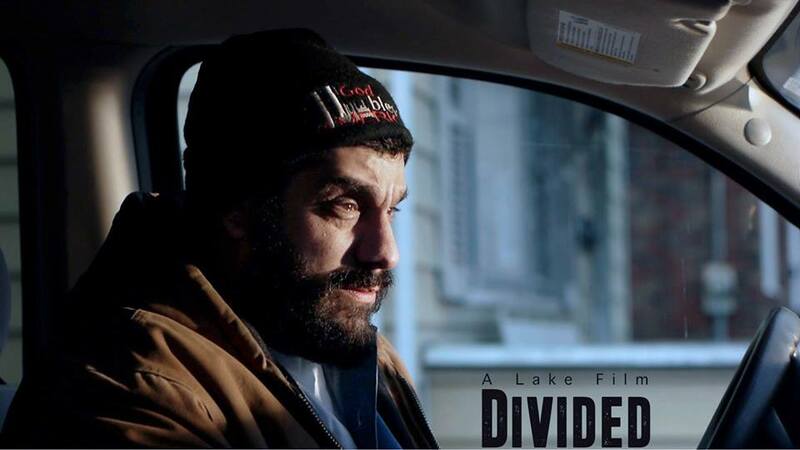 (Writer, Tom Bragg) When director Lance J. Reha said he wanted to work on something we could shoot in a day, I came up with DIVIDED. We knew the actors well and worked with them previously, so I wrote the film with them in mind. The first draft was written quickly and all sorts of emotions poured out of me, many personal issues ended up on the page. Actor Drew Maniscalco, Lance and myself are in the same age group and I think we all understood the relationship between the characters of the father and son. It was a different era when we grew up and fathers weren't all about 'I love you', kisses and hugs. I think what we see in the short film is splinters of all us.